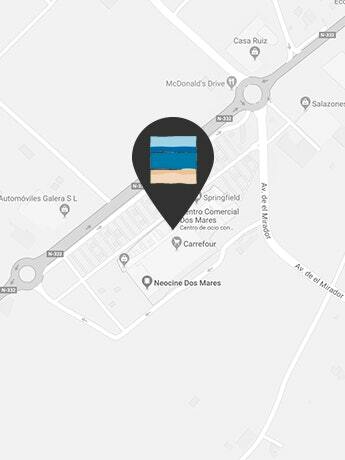 From Dos Mares, we’re aware of the magnitude of the problem posed by the pollution of the sea so that’s why we celebrate an awareness event in which we can all participate by having fun with the activities and workshops. From July 20 to August 8 we’ll start with these interactive activities in which all the visitors of the Shopping Center will have the opportunity to participate. On the ground floor of the Center we will have interactive screens with which we can have fun and learn more about marine pollution. It is an activity that seeks social conscience through a virtual game in which we must collaborate to clean the submarine environment and achieve 100% purification before the time runs out. On the upper floor, we’ll have workshops to introduce children to modelling and 3D printing. In addition to knowing the operation of these printers as research tools, they can use up all their creativity and spatial vision through this activity. Sea horses will be printed as pendants, key-rings or cookie moulds. The duration of these workshops will be 20 minutes and will be made in groups of eight children. In addition, we’ll have a large LED screen on the same floor in which audio-visuals will be projected in relation to the workshops and information of them. 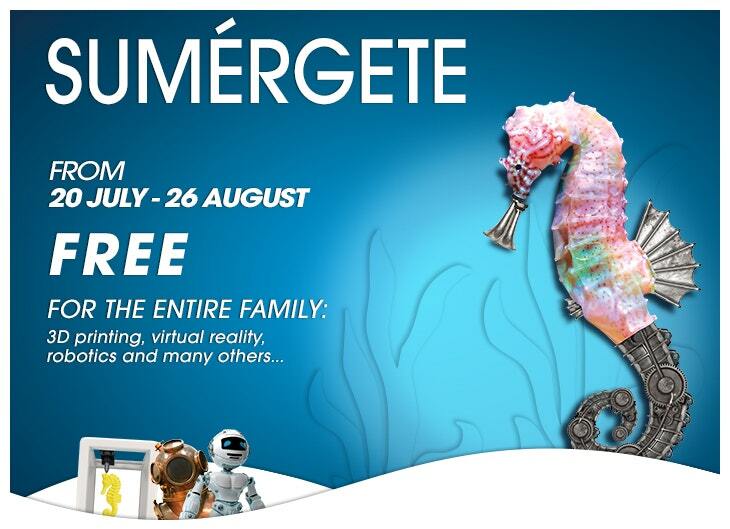 To continue with this initiative, from 9 to 26 August we’ll have new activities around sea life: a virtual experience painting graffiti’s in 3D and a technological workshop of introducing to robotics with humanoid robot models. In order to participate in these activities, it’s only necessary to show your purchase tickets made in the Shopping Center. We wait for you next July 20 in Dos Mares to start having fun as a family with activities and workshops about ocean life. Aquí tienes la información en español.